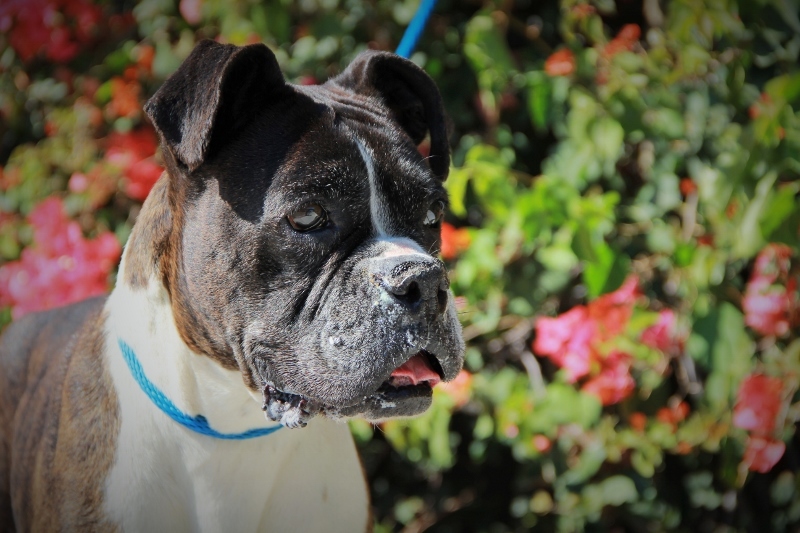 This dark brindle beauty possesses all of the best Boxer attributes. She loves people and dogs and she has the right amount of energy to be up for anything and not drive you crazy in the process! This mature girl in no diva. One look into her eyes and you'll know that you've found your soul mate.